Dear Renata, Many thanks for your wishes. I am very much enjoying my life free of glasses. Thank you all so much for making it happen. Best wishes Harpreet K.
Dear Renata Stöcker, Thank you for Your support. We are feeling good and happy that decided to have this surgery. Warm regards Larisa B. and Marc C.
Dear Renata, thank you very much. I feel fine, and I recommend your clinic to all of my friends. Thank you! Elena Z. Had a Relex Smile surgery here - very friendly stuff, very experienced surgeon. Overall had great experience, and now have my 20/20 vision! 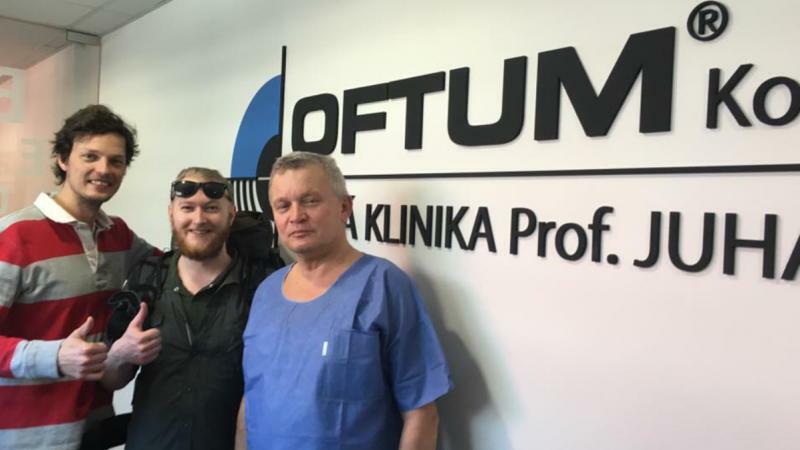 Antonina V.
"Best of the best in my experience ..."
"Dr. Juhás is an excellent surgeon. He has made my eyes perfect, and I’m really happy with them!"